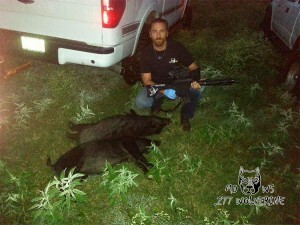 See our .277 Wolverine Range and Hunt report here. Wildcat cartridges that go mainstream used to be a rare occurrence. This was based more on the difficulties of getting manufacturers to participate in the process of bringing the cartridge and firearms to market. 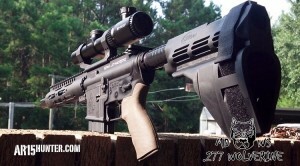 However, the rise of the AR15 as a hunting rifle, has made this process much easier on a smaller scale. 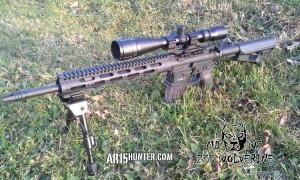 Calibers built off the 5.56/.223 cartridge, coupled with the ability to produce relatively small runs of interchangeable parts for the AR15, has added to the evolution of new hunting “wildcats”. As we begin to delve into these new cartridges and choose which ones meet the criteria to be included in our watch list, you will begin to see a pattern emerge. Typically, this includes a well thought out round, an established following and a person (or persons) who is the main developer and supporter of the cartridge. 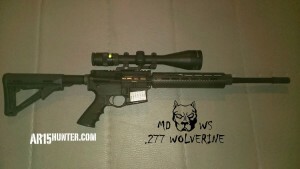 In the case of the .277 Wolverine, that person is Mark Kexel, President of Mad Dog Weapon Systems (MDWS). For some insight on Mark and how this cartridge came about, head over to the Western Powders Blog, where they published a full interview that John Hull (a Wolverine early adopter) conducted with Mark on the .277 Wolverine. 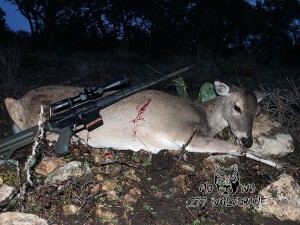 Let’s take a step-by-step look at why the .277 Wolverine qualifies for our AR15 Hunter – Cartridges to Watch category, using the criteria laid out in a previous article (click here to review the criteria). 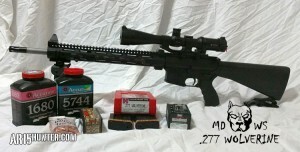 Mad Dog Weapon Systems has this critical part of creating a new cartridge well covered. 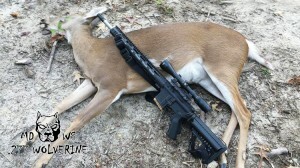 One of the first steps that MDWS took, was to make sure that they had the rifle build components available almost immediately after announcing the cartridge and completing testing. 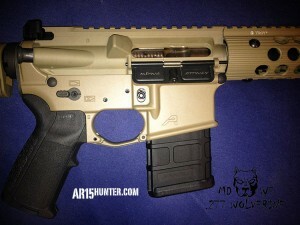 Right now, available in their store, is everything you need to get started on your AR15 build. 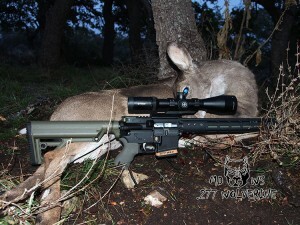 From barrels of varying lengths, to “MDWS – .277 Wolverine” branded etched receivers, BCGs, ejection port doors and other items, they have you covered for just about everything needed to build your rifle. There are at least two sources of “factory” loaded ammunition available at this time for the .277 Wolverine. These sources carry a variety of bullets weights, brands and styles. The pricing is not bad, considering the choice of bullets. 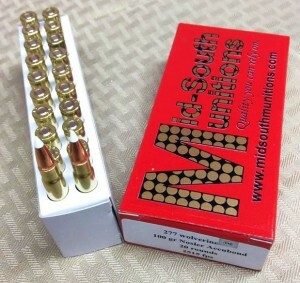 The upside to the factory cartridges is you end up with empty brass that is reloadable using the custom .277 Wolverine Hornady dies and trimming tools, which are readily available in the MDWS online store. 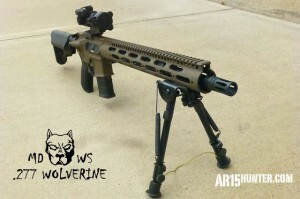 However, if you want to start with raw brass for your Wolverine loading, one of the ammunition companies also supplies once-fired brass, ready to be resized, primed and loaded. 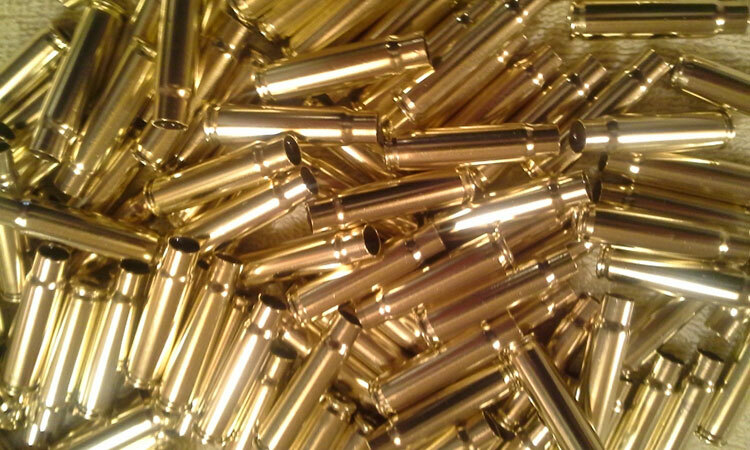 The current pricing for this brass runs less than $0.20 each, so this makes loading very economical when adding up your components. 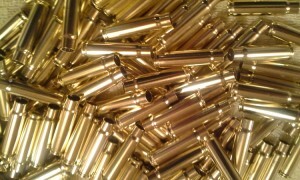 Obviously, this pricing is due to the relatively inexpensive .223 brass used to form this round. 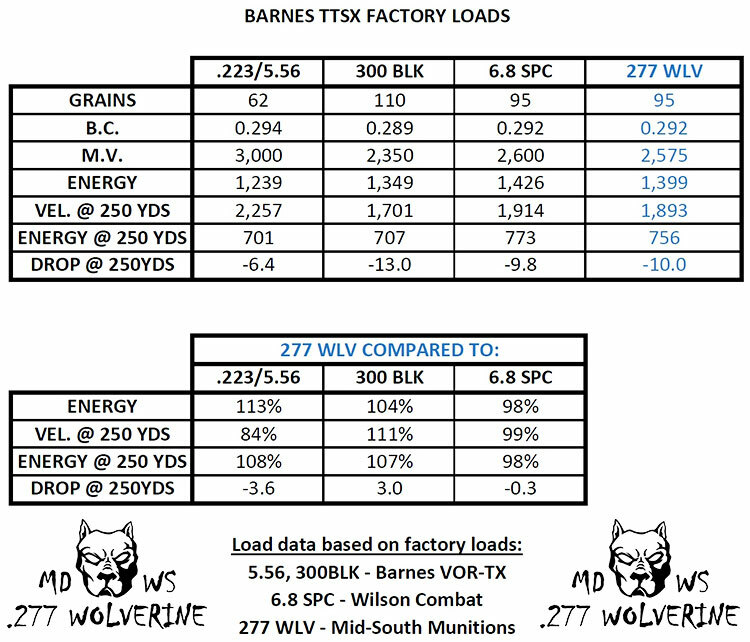 There is also a variety of bullets and powders available for those who want to reload the .277 Wolverine, and with MDWS already completing tests on many of them, finding a load that will work on varmints, up to medium sized game, will be no problem. Probably the most important aspect of any cartridge is how it performs, repeatedly, at the range, with a bullet that is rated for the game you are hunting. 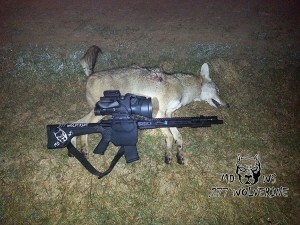 MDWS runs a forum on their site for folks who already use the .277 Wolverine and it has been proven out, time and again, as an accurate cartridge. I had a long telephone discussion with one of these dedicated users about the accuracy of the round. Mike and I discussed how he tested various loads and bullets, including a load using the 90 grain TNT bullet, as well as the 100 grain Accubond bullet. 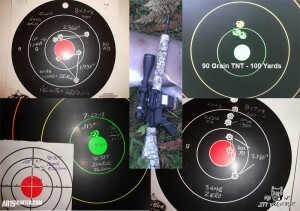 The groups shown below are from a 16” barrel, out of a standard AR15, at 100 and 200 yards. The ballistics also show that this cartridge is a flat-shooter, with bullets designed to perform on medium sized game, such as deer. Acceptable accuracy in the field, at longer distances, is due to various reasons, with flat ballistics being one of the most important. Also, at 300 yards, the bullet still has enough energy to make kills on medium sized, thin-skinned game. 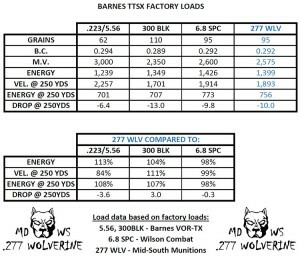 In the near future, we hope to complete a full range report on the .277 Wolverine, using some of the available factory loads. At that point, we will make our final determination on accuracy. However, at this time, we feel the information given to us by real users is enough to determine that this cartridge is accurate for hunting, at ranges recommended by MDWS. This is an easy one. 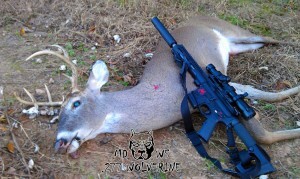 We only need to go back to the users of this cartridge for photo evidence of the .277 Wolverine’s success in the field. The great thing about new cartridges, is the fact that users want to see how the bullet performs on game. This leads to detailed stories, including loads used, yardage, and animal reaction after being hit. Add to that, the autopsies that take place, and the information available is priceless. I’ve included a gallery below taken from images posted by users on the MDWS forum. 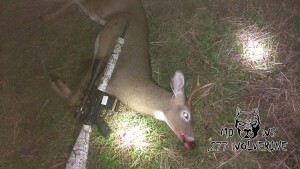 These pictures were originally posted with information about the shot and results. That information met our requirement of documented success in the field, so the Wolverine has proven that it is a very capable cartridge in the field. This is a cartridge that comes very close to the 6.8 SPC in speed and performance, but uses 5.56/.223 parts and components, making it easy for people to move to the .277 Wolverine. The ability to not only come close to the 6.8 SPC in performance, but after thorough testing, MDWS has also come up with subsonic loads that will almost meet the performance of the .300BLK. 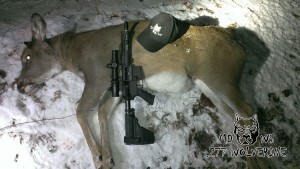 Again, with the same 5.56/.223 based cartridge! Factory ammunition, along with a wide variety of bullets available for loading. These two critical parts of any cartridge brings both non-reloaders and reloaders to the table. 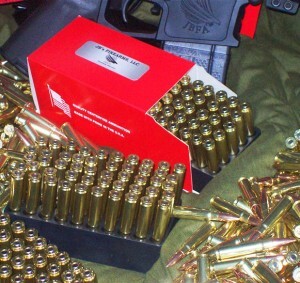 Many reloaders don’t realize how many are out there who do not wish to reload. MDWS realized this in the beginning and worked closely with ammunition manufacturers to cover non-reloaders, as well as reloaders (with brass). An active and passionate support system. 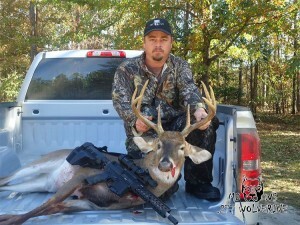 MDWS and Mark Kexel are passionate about this cartridge. 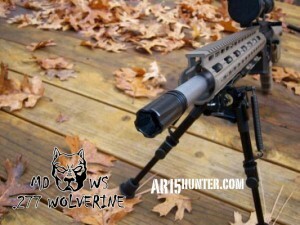 Because he is consistently developing new ways to increase the Wolverine’s user base, this round will continue to grow. Shooters who buy into this round, have the full support of an active (albeit small – which I would take any day over a large corporate conglomerate) company, that actively uses this cartridge and is continually developing new strategies to open the door for new fans. Lastly, the support from initial users of this round has also helped to multiply the number of interested shooters. 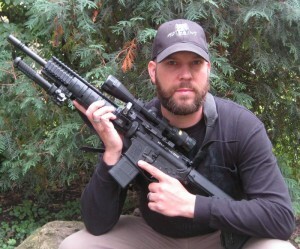 By providing their real world experiences, the Wolverine devotees have taken the decision about the popularity of this round out of the hands of main-stream gun writers and opened the door to information that cannot be disputed. The ferocious 277 Wolverine is a cartridge to watch in 2015, and beyond. After some long conversations with Mark, from Mad Dog Weapon Systems, we are confident that this cartridge will have plenty of support going forward. We believe that MDWS is dedicated to this cartridge and continuing the innovation that brought it to fruition, beyond what is available today. 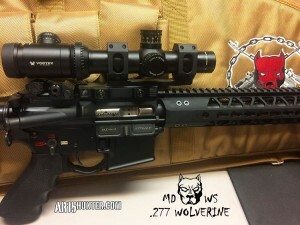 For example, MDWS and some .277 Wolverine users are beginning to work on subsonic loads. 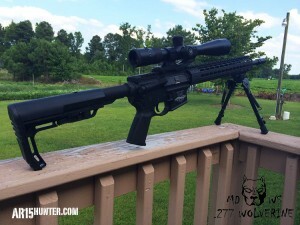 With just this step, the popularity of the .277 Wolverine should increase, as more hunters begin to adopt this cartridge for hunting in states where hunting suppressed is legal. 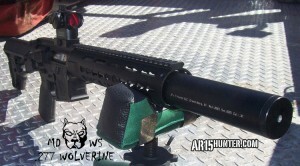 With the bullet makers now paying attention to the growing popularity of hunting with AR15s, we should also see more options for projectiles that will add even more options to those looking at the Wolverine. 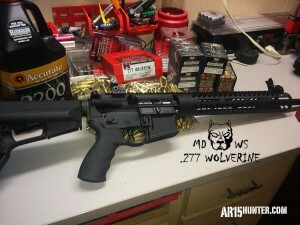 Lastly, I know that there will be shooters who will pick apart the numbers and determine that because another cartridge is faster, or holds more energy downrange, that we should not even be looking at a cartridge like the .277 Wolverine. Let me address that briefly. 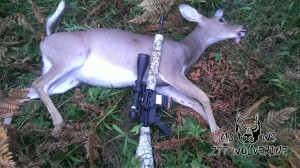 Most of us own rifles, that shoot calibers, which are bound to duplicate the performance of others that we own. I purchase because a rifle, or cartridge, piques my interest. If it happens to duplicate something I already own, so be it. Oftentimes, I see attacks on cartridges by people who have not shot them. This does nothing to further innovation. Imagine if all we were allowed to own was a .30-’06, a 5.56 and a .22LR. How boring would that be? One of the reasons the .277 Wolverine has been successful, is because the person who developed it does not discount the cartridges he compares it to. In fact, he feels “every cartridge has its place” (see quote below), and I agree. 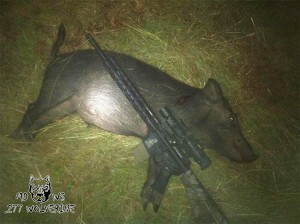 We are looking forward to completing a full range report, as well as possibly getting a chance to hunt with the .277 Wolverine in the field. Stay-tuned for these future articles coming in the near future! 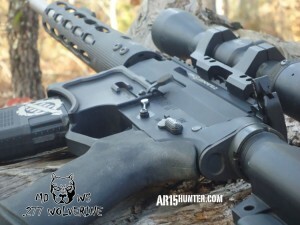 Editor’s Note: All images are used with permission by MDWS and AR15 Hunter claims no ownership.